NBC has handed down two more series orders. 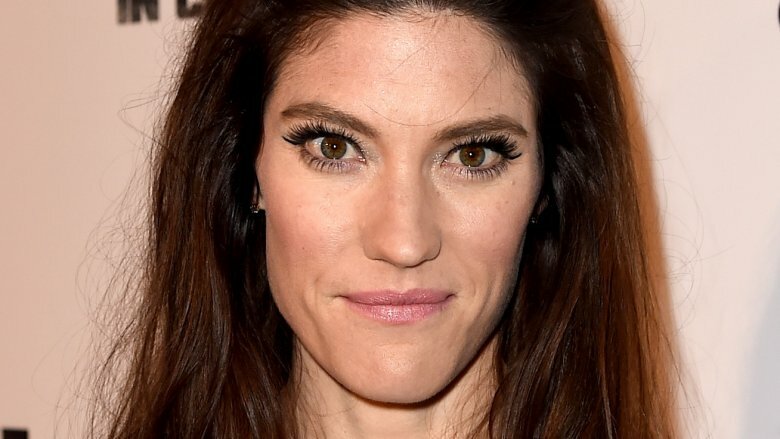 According to Variety, the network has officially given series orders to the Jennifer Carpenter-starring spy thriller The Enemy Within and the This Is Us-esque apartment complex drama The Village. The Enemy Within features Carpenter as Erica Shepherd, a former CIA operative now known as the most notorious traitor in American history. Shepherd is rotting away in a supermax prison when she is approached by FBI Agent Will Keaton (Morris Chestnut), who reluctantly enlists her to help track down a fiercely dangerous and elusive criminal who she knows all too well. Although it's not easy for Keaton to trust the woman who nearly cost him everything, the pair are forced to team up to bring the enemy to justice. Both of them know that in order to catch a spy, you have to think like one. Raza Jeffrey and Kelli Garner also star in the series, which comes from writer Ken Woodruff (Gotham) and executive producer Vernon Sanders (Harry's Law). The Village follows the residents of a Manhattan apartment building who, despite the differences in their ages, races, cultures, and lifestyles, find that their lives intertwine in increasingly complex and compelling ways. As they interact with each other, they realize that life's challenges are better faced alongside family — and family is found wherever you can make it. Moran Atias, Michaela McManus, Jerod Haynes, Frankie Faison, Daren Kagasoff, Grace Van Dien, Warren Christie, Lorraine Toussaint, and Dominic Chianese star in the series, which comes from Mike Daniels (Shades of Anarchy). Jessica Jones alum Minkie Spiro directed the pilot and will executive produce the series alongside Jessica Rhodes. The show comes from Universal Television and 6107 Productions. The Enemy Within and The Village join the already ordered medical drama New Amsterdam, starring The Blacklist's Ryan Eggold, as new dramas on NBC's upcoming docket. NBC's other potential drama projects include the Bad Boys TV spin-off L.A.'s Finest, starring Gabrielle Union and Jessica Alba; the mystery thriller Manifest, starring Josh Dallas and J.R. Ramirez; the Hitchcockian thriller No Way Back, starring Paula Newsome and Derek Luke; and the clairvoyant detective drama The Between, starring Harriet Dyer and Yusef Gatewood.